IN the almost 40 years since China’s reform and opening-up, the country has evolved from a centrally-planned closed market system to the world’s second largest economy, which is an incredible feat for such a vast and populous country. How did Chinese enterprises bootstrap their way to global dominance while continuously learning from their own experiences and the outside world? 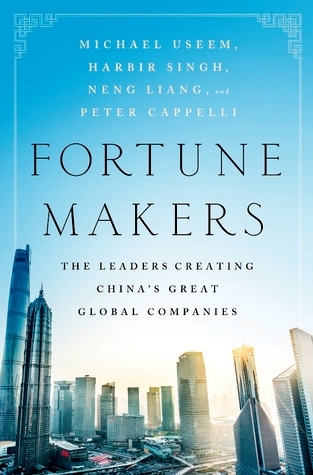 Fortune Makers: The Leaders Creating China’s Great Global Companies, co-authored by Wharton professors, documents this “China way” of doing business through the eyes of Chinese executives. What was the motivation to write this book? Readers can find the reason right away in the preface – because China matters. Compared to its gross domestic product of 1978, the preface points out, China’s GDP in 2015 grew 26-fold in sharp contrast to a less than three-fold growth over the same period in the United States. And now, China accounts for one fifth of the global economy. By combining commentaries from creators and top executives of China’s largest private companies, such as Alibaba, Lenovo, Geely and Vanke, with in-depth research and analysis, the authors reveal Chinese commercial leaders’ ideas on administration and management styles, which differ significantly from executive mindsets prevalent in the West. When Peter Drucker published Concept of the Corporation in 1946, he outlined what large American corporations looked like. Similarly, when Japanese companies emerged as a global force in the 1980s, insightful analysts also explained the practices that brought Japan’s economy out of a mess – and what managers elsewhere could learn to compete with them. Fortune Makers now allows business leaders in the U.S. and other Western countries to understand the style of Chinese corporate life and the dominant players whose businesses are the foundation of the domestic Chinese market, and are now playing an increasingly significant global role. What is the “China way” and how is it different from the way other countries conduct businesses? Readers will come to understand the seven distinctive strands of the “China way” of doing business. First, Chinese business leaders have had fewer examples and models than their Western counterparts to lean on. As a result, they have had to build their businesses from the ground up, unshackling themselves from the limits of habit and tradition. Second, business leaders devote significant time and resources to learning and realizing professional development. Third, many of China’s most successful companies have quickly adapted to the ever-changing business environment, either pivoting away from failing strategies or taking advantage of new opportunities. Fourth, human resources management is the highest priority that Chinese business leaders not only reinforce, but also take into account when making decisions. Sixth, the driving force behind the growth of many Chinese companies is to increase scale and expansion, rather than to maximize shareholder returns. Last but not least, Chinese corporate ownership is beginning to change as the economy develops, with boards starting to take an active role in company management, yet many firms are still dominated by the biggest shareholder. In addition, the book shares with readers some stories of competitions between Chinese companies and their foreign counterparts. Many well-known U.S. companies have attempted to enter the Chinese market, for example, eBay and Uber. However, both were defeated by very able competitors – Alibaba and the Chinese Uber equivalent Didi. As taken from the book, one of the very interesting things that Alibaba Chairman Jack Ma focuses on is to keep Chinese consumers foremost in his mind. When he had the ambition to build his company, eBay was already very strong in China. One of the differentiating factors that allowed Alibaba to essentially win against eBay was that it played off the idea that Chinese consumers want to verify goods when buying online. So, they created an algorithm in the software to allow consumers to inspect goods and create an escrow account. This one unique differentiator allowed Alibaba to find success over eBay, and eventually come to dominate the Chinese e-commerce market. “For almost 100 years, our thinking about management and leadership was dominated by the practices of American companies,” remarked Julian Birkinshaw, professor of Strategy and Entrepreneurship at the London Business School. He said that since the 1980s, people have started to see new models emerge – the Japanese way, the German way, and the Indian way. “Now, for the first time, this book exposes the Chinese way of management, an approach that will become increasingly influential in the years ahead. This is a must-read for any company that seeks to do business in China, or to compete against Chinese companies,” Birkinshaw concluded.